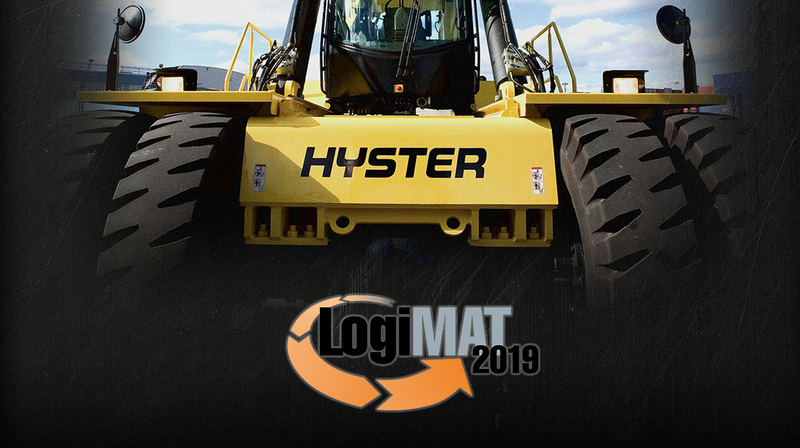 At LogiMAT 2019, which takes place from 19th to 21st February in Stuttgart, Germany, Hyster Europe will present 360-degree solutions for warehouse and logistics applications, including a focus on innovative robotics solutions. In addition, a Reach Truck with tilting mast, particularly suited for use in confined spaces, will be on show. 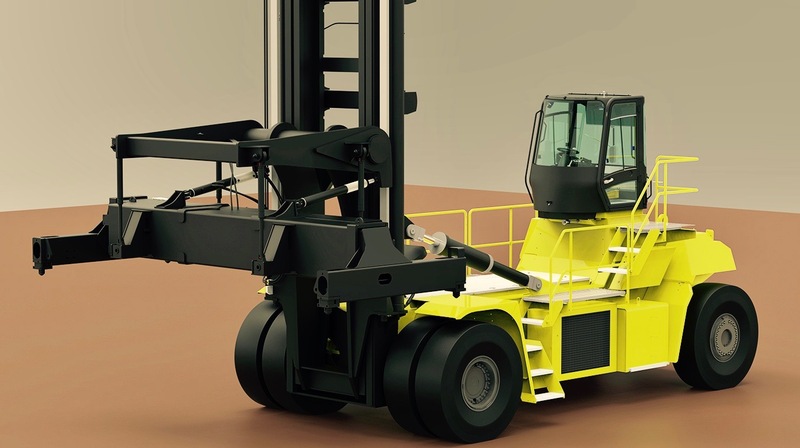 At LogiMAT, Hyster Europe will also show electric forklifts featuring lithium-ion batteries. These batteries are often used in the food industry where operations are mostly indoors and there is a priority to reduce contamination. Lithium-ion has no acid which could spill and no fumes – hydrogen and other gases can be produced by lead acid, which are unwelcome in clean food production and storage areas. With no equalising, watering or cleaning required, lithium-ion batteries do not need the high levels of maintenance that their lead acid counterparts require. Lower maintenance helps to reduce cost. “Where the requirements to power a fleet of electric Big Trucks is likely to exceed power capabilities of the grid, hydrogen may provide ports with readily available energy without a requirement for a high capacity electric charging infrastructure,” says Antony. To enhance the tough range of 2-3.5 tonne capacity Hyster Fortens™ ICE trucks, a wide variety of solutions and customisations tailored to specific application needs are now available for 2019 models. “For instance, to alert pedestrians of an approaching vehicle in busy warehouses with blind intersections or high noise environments, for example, Pedestrian Awareness Lights can be fitted to the front, rear, or both, of Hyster Fortens™ trucks,” says Antony. For more information or to find your local Hyster dealer, visit www.hyster.eu. This entry was posted in 360-degree benefits, ATEX Compliance, Attachments, Automation, Batteries, Battery Extraction, Big Trucks, Container Handling, Container Stuffer Truck, Container Stuffing, Cool Truck, Counter Balance, Cross-Docking, Dealers, Electric, Electric Big Trucks, Electrics, Empty Container Handler, Events, Explosion Proofing, Food Sector, Fortens, Fortens®, FT, Fuel Efficiency, Hand Pallet Trucks, High Frequency Chargers, Hydrogen Fuel Cells, Hyster, Hyster Europe, Intensive Applications, Lead Acid, LI-Ion, Lithium-ion, Lowered Cabin, Mounting Solutions, Multi Tool Changer Attachment, Nuvera, Paper Handling, Partners, Pedestrian Powered Pallet Truck, Pedestrian Powered Pallet Trucks, Ports and Terminals, ReachTruck, Recycling, Retail Sector, Simulation, Solution, SpaceSaver, Special Truck Engineering, Steel Handling, Telemetry, Warehousing, Weighing, Wireless Asset Management, Wood Sector, XT and tagged Attachments, Battery, Container weighing, Counter Balance, Electric, Fuel efficiency, Germany, Hyster, Hyster Europe, Innovation, Laden Container Handling, Lithium-ion, lithium-ion (Li-Ion) batteries, lithium-ion battery, New, Paper Handling, Ports and Terminals, Recycling, Side Battery Extract, Simulator, Solution, Special Truck Engineering, Telemetry, Warehousing, Waste Management, XT, Zero Emissions. Bookmark the permalink.